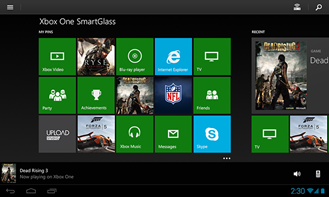 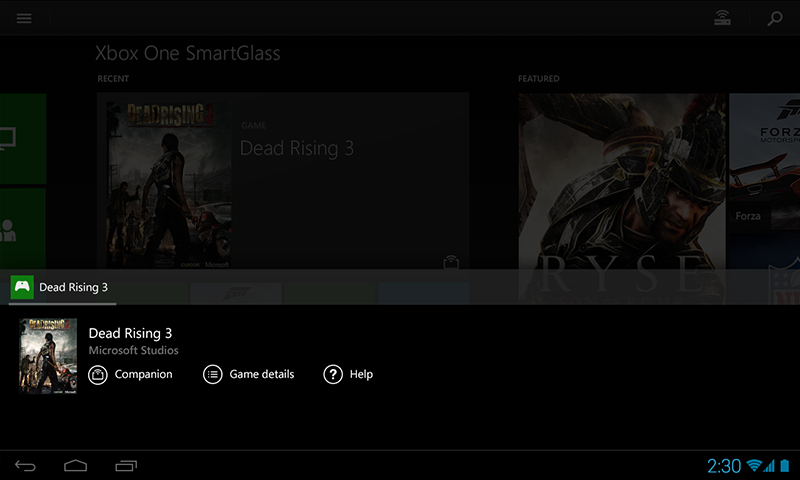 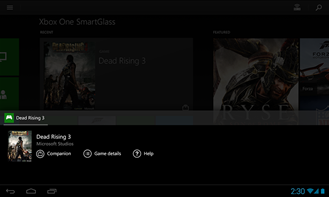 While most of us won't be getting our hands on Xbox Ones until November 22nd (or ever, if that's not your thing), a few lucky souls would probably be happy to hear that the official SmartGlass app for the console is now out on Android. 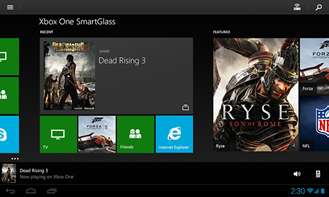 This app is rebuilt from the ground up compared to the old Xbox 360 companion, and while it does do much of what the old app did (in addition to a few new things), it's got a brand-new Windows 8-esque interface. Even if you don't have your XB1 yet, you can make use of the Favorites and Pins functions to start laying out your One's UI when it does arrive, through your existing LIVE account. 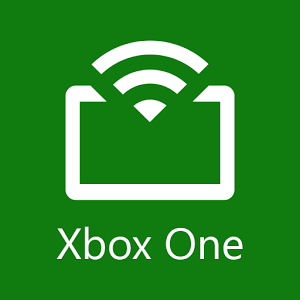 The new app allows you to look up help content, watch recorded game sessions, pin content that will then show up on your console, connect with friends on Xbox LIVE, and features companion functionality for various types of content, including games, TV, live sports, and movies. 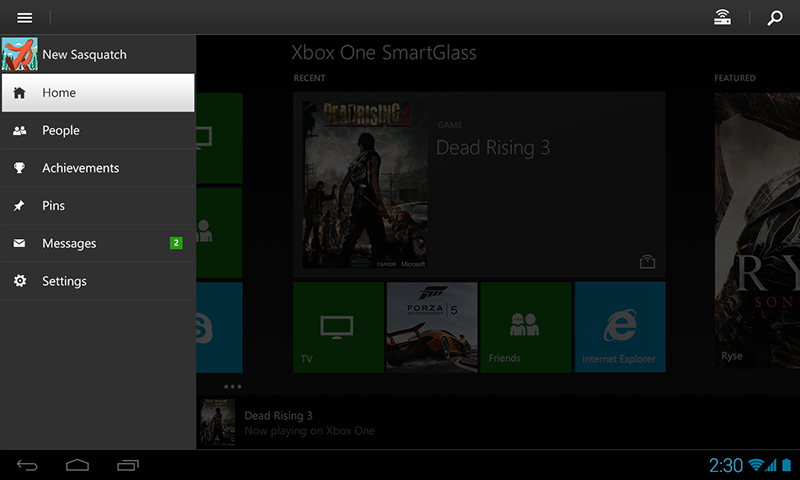 The new app requires an Android 4.0+ device and seems to be compatible with most modern hardware. 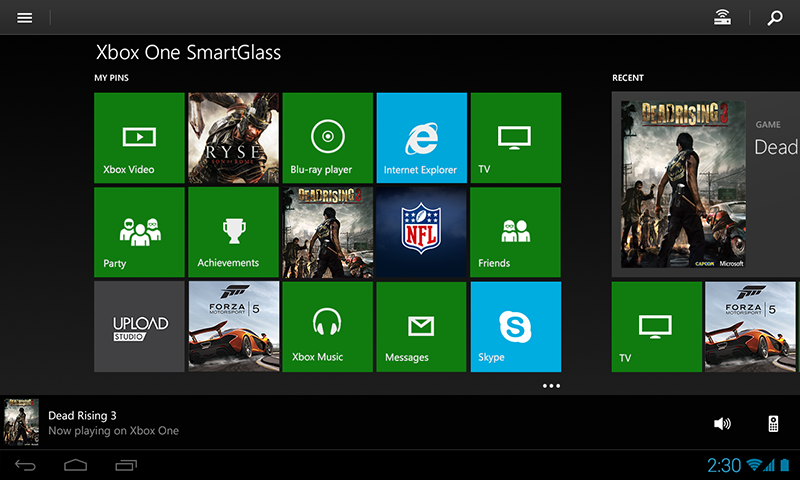 If you're chomping at the bit for a taste of the Xbox One, this app may sate you for a few short hours as your wait for Friday drags on.